April 4 marks 70 years since the signing of the North Atlantic Treaty, the text which created NATO. But that anniversary is hardly grabbing the headlines. NATO Foreign Ministers will meet in Washington DC to commemorate the event and NATO’s Secretary General will address Congress. However, Donald Trump will not be playing host. 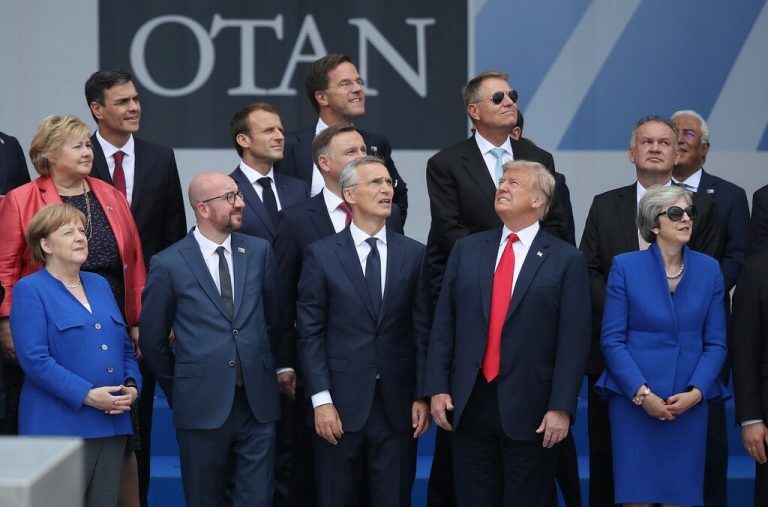 This contrasts with the fanfare that surrounded NATO’s anniversaries of 2009 — President Barack Obama’s first official visit to Europe — and 1999, when leaders assembled in Washington DC in the midst of a war against Serbia. The next NATO leaders’ summit has been rather apologetically shunted to December in London. To NATO’s detractors, the poor optics of the anniversary reflect a deeper set of problems. The alliance is seen as irrelevant to America’s strategic competition with China and at odds with Trump’s desire to scale back US involvement in Afghanistan, the location of a NATO mission since 2003. While Trump has only alluded to a US withdrawal from NATO, he has been embarrassingly explicit in asserting that America’s allies do not spend enough on defense. That defense deficit is compounded by political division. Turkey’s warming relationship with Russia has set alarm bells ringing in NATO capitals; France and Italy are experiencing the worst crisis in their relations since World War Two, and the UK’s claim to be “a leader in NATO” jars with the damage to London’s international reputation inflicted by Brexit. To paper over these cracks, NATO has sought to be all things to all allies. In recent years, it has played a supportive role in the anti-Islamic State coalition in Syria and Iraq, boosted its military presence in eastern Europe to deter Russia, and adopted a “Strategic Direction South’” focused on Africa and the Middle East. The upshot has been a lack of strategic focus. NATO still operates with a Strategic Concept agreed in 2010 — and there is no consensus in the alliance to replace it. So it is easy to be downcast about NATO. But consider the alternatives. The European Union has made significant steps toward defense cooperation, but lacks NATO’s permanent command structures. Without such arrangements, the idea of a “common European army”, supported in Paris and Berlin, amounts to little. Europe is already littered with defense initiatives outside of NATO, with loose coalitions such as the French-led European Intervention Initiative, whose purpose is as much political as it is military. The more meaningful arrangements are those which complement rather than cut across NATO – for instance, the Defence Cooperation Treaty between the UK and France, the UK-led Joint Expeditionary Force, or NORDEFCO in which NATO allies Denmark, Iceland, and Norway cooperate with the Scandinavian neutrals Finland and Sweden. While NATO has generated a defence dependency upon the US, Europe’s strategic autonomy is best pursued in partnership with America not against it. Efforts to create a European pillar in NATO have often foundered, but at the operational level, initiatives such as the British-backed Allied Rapid Reaction Corps or the German-inspired Framework Nations Concept demonstrate how important European leadership can be when it has American support. The wider transatlantic relationship also continues to matter. The US, Canada, Germany, and the UK currently head up four battlegroups deployed to Poland and the Baltic States as part of NATO’s Enhanced Forward Presence. There is much that is wrong with NATO, but fixing not abandoning it is by far the better option. There is no substitute for the defence integration NATO offers – through multilateral defence planning, joint exercises, and the promotion of inter-operability and standardisation. Over the 70 years of NATO’s existence, these processes have generated transparency, trust and political cooperation within Europe and across the Atlantic. That historic achievement has been extended as NATO has grown – its 16 members at the end of the Cold War now number 29 (soon to be 30 with the accession of North Macedonia). And, unlike the EU, no one is seeking the leave NATO. Trump has not acted upon his intimations, and his administration has in fact increased America’s military footprint in Europe. Trump’s criticism of allies has also spurred a significant upturn in European defence spending. The demise of NATO has been foreseen since at least the 1960s, but it has proven remarkably resilient. NATO at 100 may seem too far out to predict, but NATO at 80 looks a very good bet.